Industry 4.0 is ushering in sweeping changes to manufacturing, making it. The factory of the future operates autonomously: it can organize itself and its processes and solve any malfunctions or problems without the need for human intervention. The basis for a smart factory lies in the intelligence of all the entities involved (machines, products, etc. ), and this basis is realized through software. By continuously evaluating the machine’s context – i.e., all the information that could have an impact on the machine’s behavior – the software is able to decide what action the machine should take or initiate in each specific situation. This contextual evaluation is based on an abundance of production and machine data, much of which is already generated to some degree in today’s manufacturing environments. The knowledge of what action needs to be taken in each particular situation generally lies with the manufacturing experts who define processes and rules for the production process. If these processes and rules can be automated, then they can also be executed by the machine itself. To achieve this, processes and rules must be explicitly modeled in software to enable autonomous decision making. The translation of the production associates’ knowledge into software is an evolutionary process. Just as production is continuously being developed and optimized, the number and complexity of tasks a machine is required to perform on a daily basis is steadily increasing. As a consequence, tasks must be taught over time – in other words, knowledge must be continuously translated. 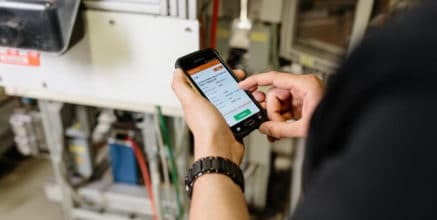 The prospect of machines performing all tasks independently is often taken to mean that people will become obsolete in tomorrow’s manufacturing industry. In reality, people will simply play a different role in tomorrow’s factory. For one thing, they will be the creators of the factory of the future. For another, they will be responsible for monitoring and control tasks, many of which already form part of their work – dealing with the complex interfaces between hardware and software, for instance. These tasks will continue to increase in number and, in the future, will represent the lion’s share of people’s work. It is important to note that translating knowledge into software is not a one-time task, but a continuous process. 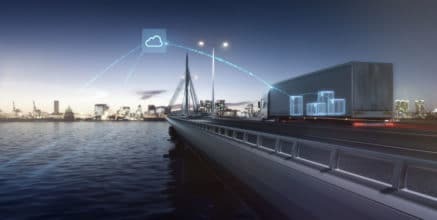 As machines, processes, and manufacturing itself continue to develop, new challenges will emerge on a regular basis – and in many cases the solutions to these challenges will themselves need to be automated. This means that production associates will continue to play an active and important role in the development process, because they will be the ones who are best placed to identify the potential for optimizing output, quality, and costs. 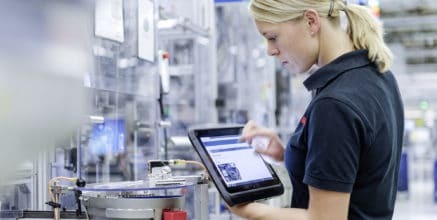 They possess the expertise to understand every last detail of how their machines work – and they know exactly when a critical state is reached, which parameters indicate that this state has been reached, and how the problems confronting the machine or the production line should be remedied. They will always be the true manufacturing experts. Generally speaking, in terms of their education and experience, manufacturing experts are not necessarily qualified programmers. While job requirements are likely to change in the future, this current discrepancy will not likely delay the development of the smart factory, since manufacturing experts are experienced in using formal methods to model rules and processes. 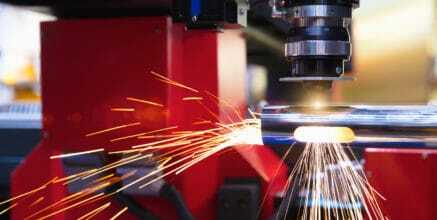 All that is needed to advance the development of smart manufacturing is tailored software that supports its activity. Huge quantities of data are generated in production environments every single day. 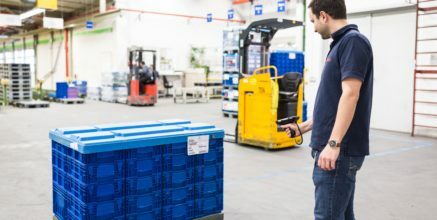 Data can shed light on whether a production process meets quality standards, whether the planned output is achievable, or whether a machine is experiencing a malfunction. 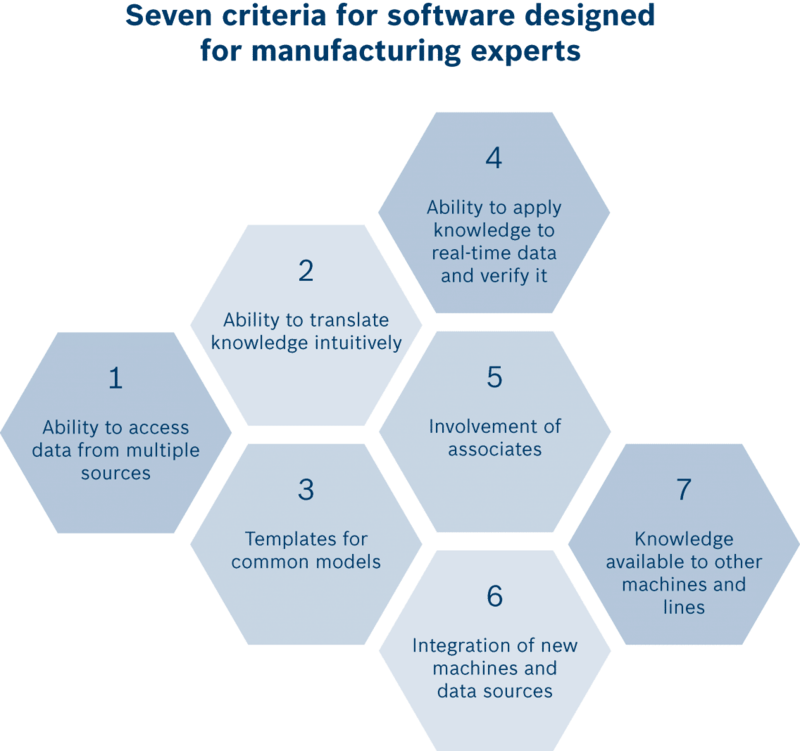 Translating knowledge into software is a complex process that currently cannot be performed by manufacturing experts alone. If manufacturing experts are given the opportunity to create program code themselves, then they can develop, test, and apply the code on their own and work efficiently with the results. Manufacturing environments use a multitude of different methods to evaluate test data, identify anomalies, and forecast trends. For software to be optimally tailored to manufacturing experts, it must incorporate domain expertise to support the work of the manufacturing experts. Once the manufacturing experts’ know-how has been translated into executable software, it should be possible to apply it to real-time data. This allows the experts to check whether the specified knowledge produces the desired results when confronted with real data, and to adapt the software where necessary. It is important for people to retain control of highly automated processes, both during the creation process itself and at all subsequent stages. One of the keys to the creation process is ensuring that the people involved also receive any information that is being automatically evaluated. Developing the factory of the future is an evolutionary process. 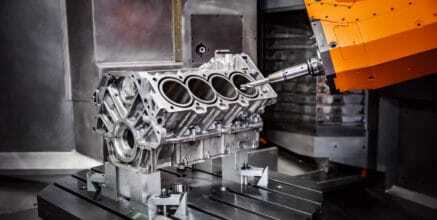 Software designed to support manufacturing experts should take this ongoing development process into account. It should therefore be easy to integrate new machines, sensors, and data sources into the system to facilitate the continuous, ongoing development of the smart factory. Once knowledge has been translated into software and demonstrated its capabilities on the production line, it should be possible to transfer this knowledge to other machines and lines through suitable processes, workflows, etc. both within the same plant and in other plants, to benefit from reusability. 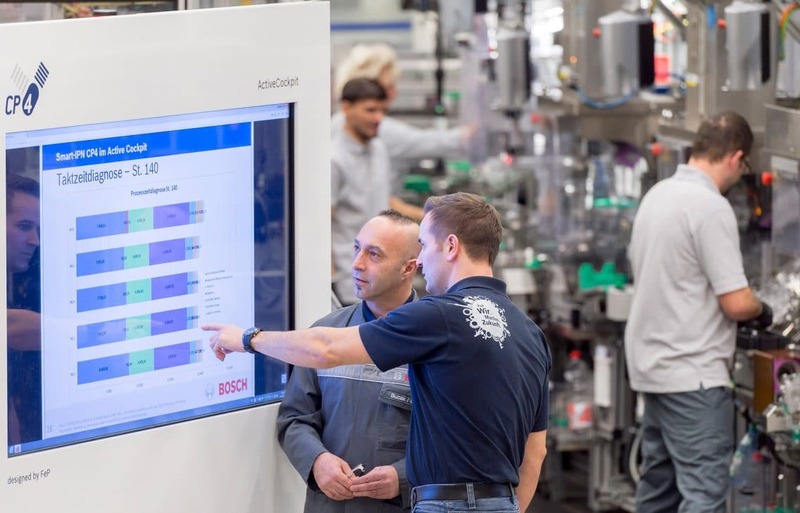 How can you make your factory smart? Why are people at the heart of this process? 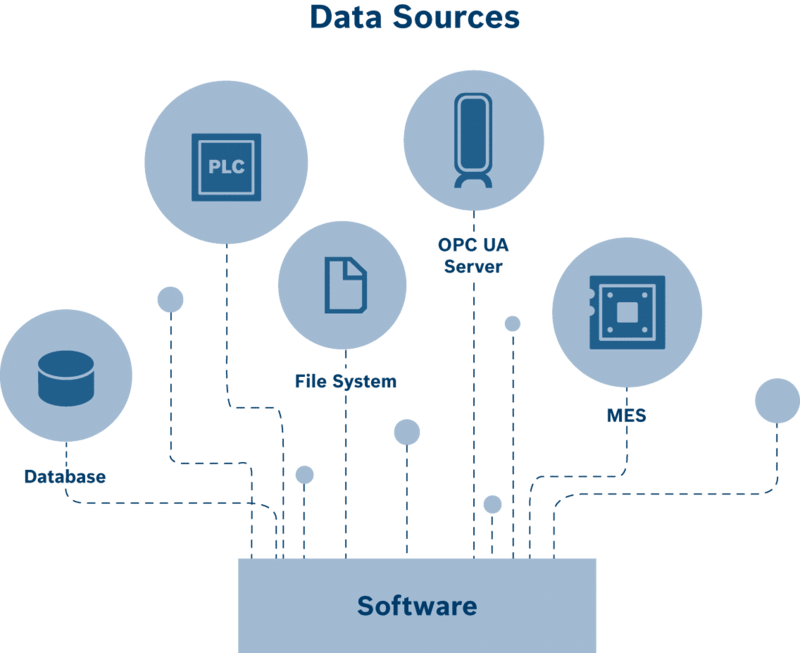 What are the detailed criteria for software designed for manufacturing experts? 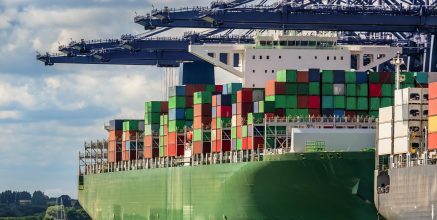 How can rule-based analysis of production data help in this context?